There are a few new faces in my garden this summer. 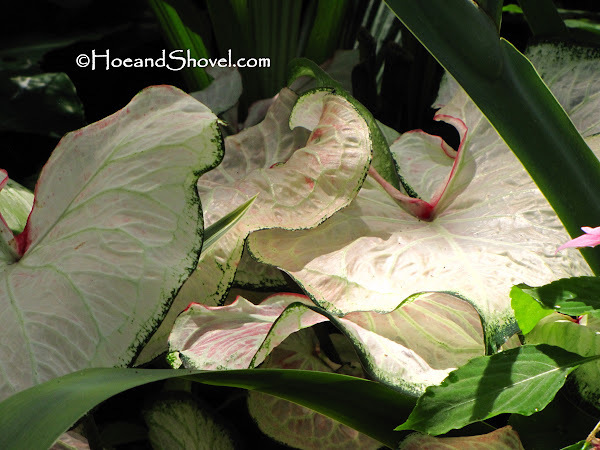 As caladium varieties show up, newly emerged from planted bulbs in June, I'm getting to know them a little better. Meet Cinderella. She is a fancy leaf variety that does well in the shade. She is tucked into the shady tropical pathway as part of the edging in between flax lily and spathiphylum with irises and ground orchids behind her. And oh, has she made some heads turn! Not since Miss Muffett have I been struck so positively by the pleasing characteristics of a favorite caladium. 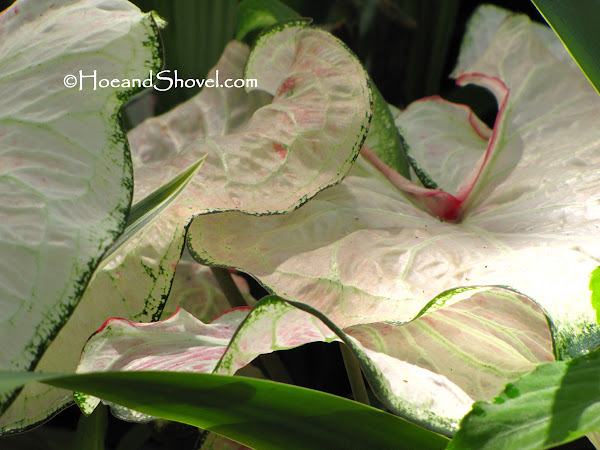 So very stunning in her perfectly matched blushing pink with deep green edging and white veins. 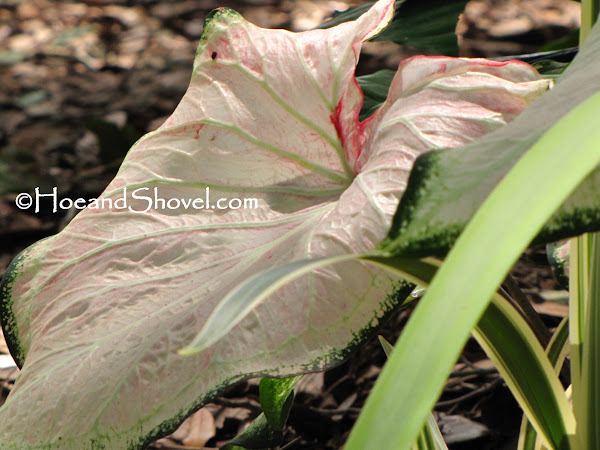 Dr. Bob Hartman of Classic Caladiums recently introduced Cinderella into caladium production. I think I've said in an earlier post how I like everything about her. She truly is lovely and her tightly clumping habit and medium height are added attractions. I will plant more of her next year. Disclosure ***Dr. Bob Hartman and Mike Woods of Classic Caladiums generously gave me Cinderella bulbs during my tour (which you can read about here) of their facility in February. They did not require anything in return. I believe in what they are doing to improve the caladium industry and I LOVE caladiums so much I am honored if I have any small part in promoting the industry and specifically Classic Caladiums. 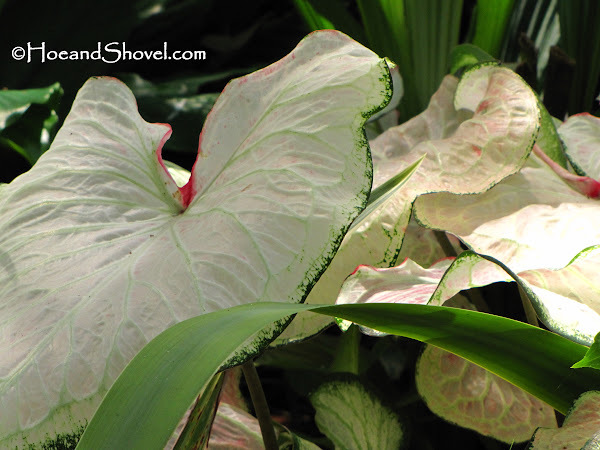 It isn't too late to plant caladium bulbs. If you want to place an order Classic Caladiums still has a few specials being offered at great values and prices. She is definitely a BEAUTY!!! Thanks for sharing. CAn't wait to see her Prince. Lift that hem line so we can see the shoes! When I saw her in your earlier post I thought her oh so lovely, and I've enjoyed this posting all about her. I like her too! The thin line on the outside with a hint of red, she is on my shopping list. Meems - Cinderella is going to be stunning in the moonlight! Lovely!! And they lived happily ever after...in Meems' garden. I definitely want to add that one to my garden next spring.It's beautiful! 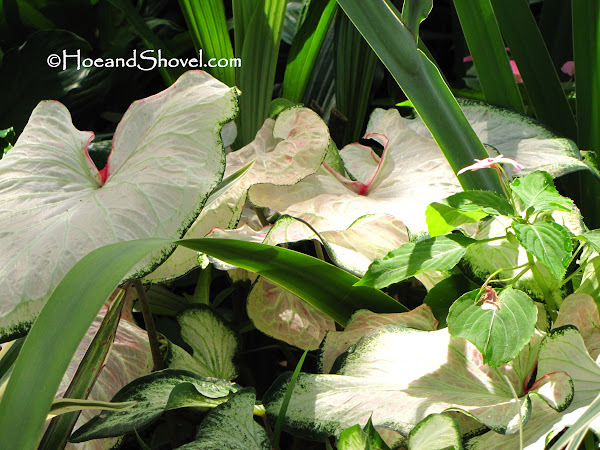 Those are amazingly beautiful Caladium! 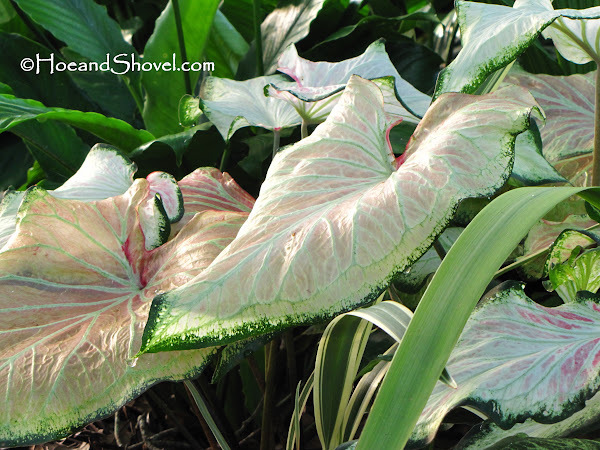 Even if we have lots of caladium too, maybe that variety with the very wide leaves will not thrive in our climate, which is much hotter than Florida. These days, i am trying to get more caladium, because when they die-back in our summer, they surface again come rainy season. Cinderella is a beauty! Love the soft pale colors. Gorgeous. I will have to try this beauty.